Carbon Five was recently brought in to build a new product with a planned budget of 6 months. As the first step, we conducted a few rounds of customer development to try and validate the concept. After a month of experiments by a product manager and designer, we ultimately recommended that the company not pursue the idea. Our client spent a few weeks of consulting fees but saved more than 90% of their budget by not building anything. The client for this project provides software to a niche set of businesses. As more and more competition started popping up, they believed they saw an opportunity to create a digital marketplace in their niche. 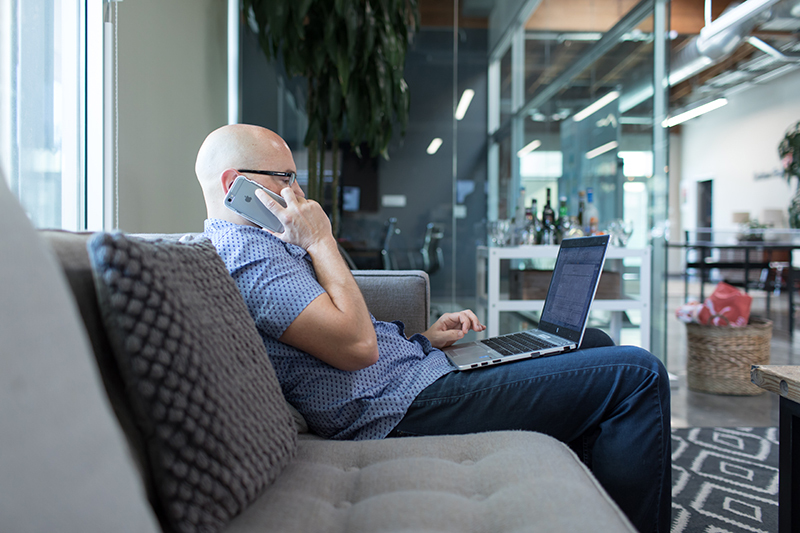 Before Carbon Five started building software, the client wanted us to confirm demand for the marketplace. If you have completed your first round of user interviews, good news: you’ve already done the hardest part of setting up an infrastructure that lets you continue learning from your users. Here’s how to keep the insights coming as your product matures. 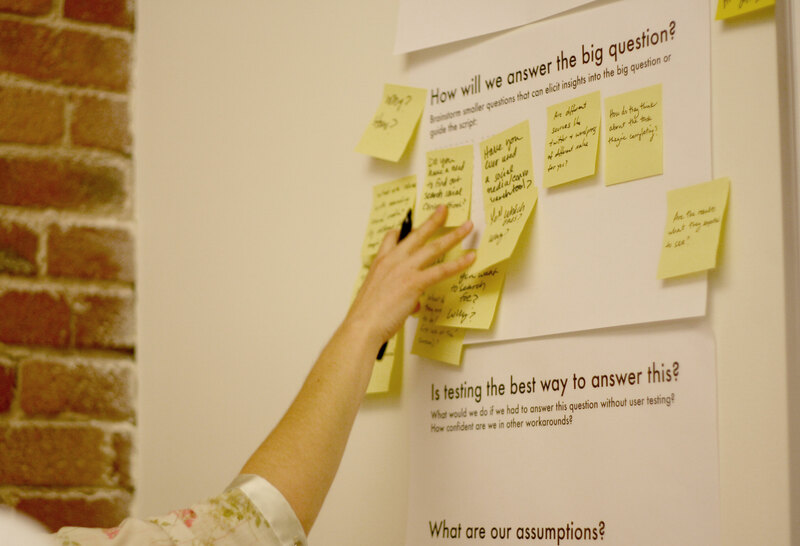 If you’ve been following along with our guide to user research, great! By now you’ve defined your feature set and are ready to try out your ideas. You know your product will be validated by user research and match user needs. You know that you need a version of the product to test your solutions and before writing any production code. The more the merrier: Come up with as many ideas to prototype as you can; this will help you evaluate your product with both your team and with your users. Iterate, iterate, iterate: Once you have the ideas make sure you evolve them through multiple rounds before you throw them out. This is your time to try stuff out and have fun. If you don’t explore broadly at this stage, when will you? Use these prototypes to learn: Prototyping is most powerful when it is used to test a hypothesis and to learn about your users and what they want. Don’t think of the prototypes as a final design but as a way of learning what your final design might be. Without further ado, here are our six favorite prototyping techniques. Welcome to the 4th of our User Research series where we share our insights into how to generate a list of features. In the coming paragraphs we’ll talk about how User Research can help with stakeholder management, generating a feature list, and prioritizing a feature list. This post focuses on feature definition, and making what we’ve heard actionable (and testable!). Our next and final post will cover a handful of methods to prototype the features we generate here. In our last post, we worked on synthesis and analysis of user interviews. After a number of interviews, we refined our proto-personas and identified common experiences. So you’ve conducted a round of user interviews. Great! You’ve got video or audio you can revisit if you or your partner weren’t able to jot down everything in time. Wonderful! You recorded your thoughts during the session and kept track of conclusions and interesting observations immediately after. Amazing! We’ll be using a fictional story about a hotel that wants to boost its appeal among business travelers. They’ve interviewed a group of experienced travelers and are about to break down the results. This story is loosely based on the DoubleTree cookie. You’ve written your script. You’ve screened your respondents and you’ve scheduled time with them (which you learned to do in our Guide to Recruiting Participants). You’ve got a big day of learning about your users ahead of you! We’re going to cover what to do during the interview and what to prepare ahead of time. Preparation is important—he more confident you are, the more your respondents will trust you and feel comfortable responding. So, you’ve read the introduction to the Carbon Five Guide to User Research and you’re ready to get started. Welcome! During this step we’ll be working through what we’re hoping to find, who we’re hoping to talk to, and what we’re hoping to ask. If you’re trying to convince someone else in your company to invest in a research project identifying the basic assumptions and outcomes like this is a great place to start. We’ll be using the hypothetical company Delivery Healthy. Delivery Healthy is a startup that serves people who are trying to eat healthy while still ordering a lot of take-out, because they say you should write what you know. 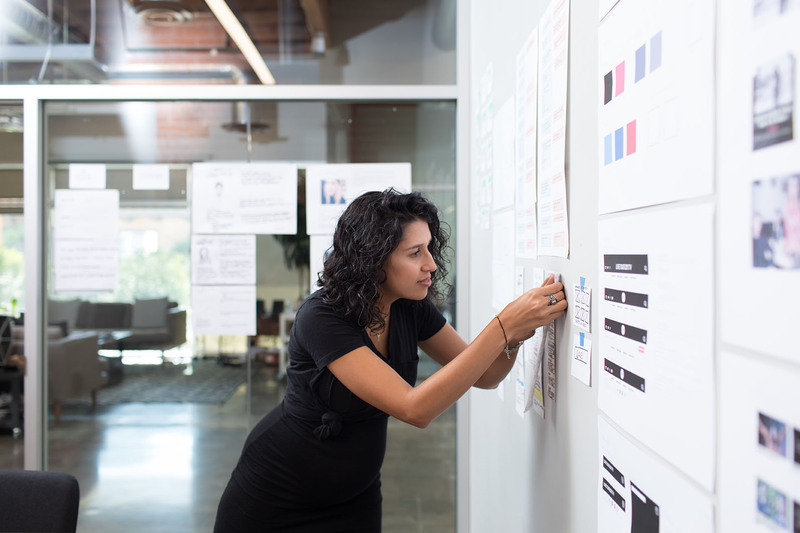 User Research focuses on understanding user behaviors, needs, and motivations through observation techniques, task analysis, and other feedback methodologies. User research helps us understand the constraints and opportunities of the audience we’re building for, and is a core part of building a successful product. Let’s say you’ve got a great idea for a product. Will your users agree? How do you reach them? In order for your product to succeed, it needs product/market fit. Defining the users you want to reach and talking to them before you build will will give you empathy and a clearer sense what your users hope to achieve using your product. It’s much easier and more effective to design with a specific person fixed in mind than a set of demographics without a distinct voice. Carbon Five is a full service software consultancy that helps startups and established organizations design, build, and ship awesome products. If you have a project you’d like us to take a look at, or are interested in joining our team, please let us know.